Disclaimer: Just Happiling was not sponsored for this blog post. 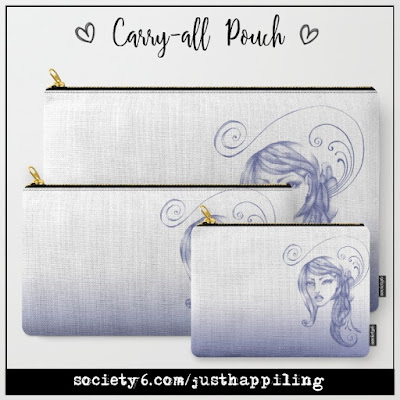 However, there might be some affiliate links regarding society6, since it is part of Just Happiling's income, and there might be links to other sponsored blog posts, which in either case will say so in the disclaimer of such post. Other than that, all opinions are 100% our honest opinion, and all photos in this post are the property of Just Happiling™. What is happiling at Just Happiling this week? Something that makes me very happy at all times is La Familia (Family). Whenever we get a chance to visit family or have them over, it makes me smile from ear to ear, because you get to interact with them, share stories, and wonderful memories. So while visiting relatives on a short holiday trip they took to Mission Beach, CA, we were able to take some fun and amazing photos from the place. Have you ever gone to Mission Beach, CA? We hadn't gone there in a while, so it was fun to walk around the beach. Actually, the last time we were there, my husband and I had a fun photo session. But that was many years ago, and most likely, a tale for another time. Look at that beautiful sunset in the picture above. 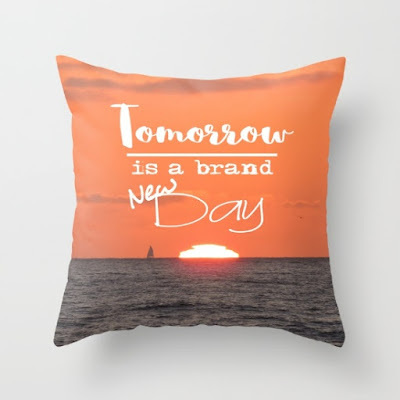 I got so inspired, that I had to share one of the photos of this set, and create something to remind us of the beauty of something so mundane and yet so wonderful as only a sunset can be. 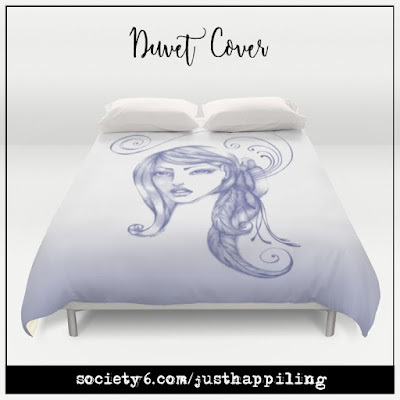 You can visit our Society6 shop at http://society6.com/justhappiling, to find more products with this image, or to find some of our art in great cool products of everyday use. We really appreciate the support from all of our followers and customers. 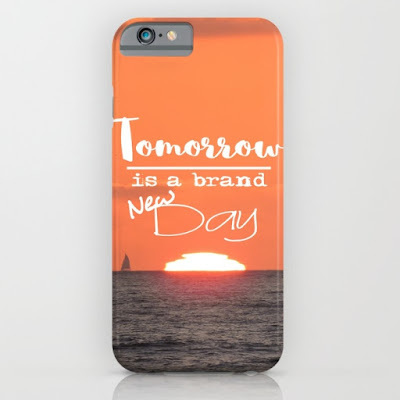 We also have an Instagram account that is exclusively for us to share our newest designs in Society6 products. Follow-us at @justhappiling.art on IG. To keep on my usual sharing of something new we found, or bought, or tried, it's yummy time! My husband found these chocolates, which are products of Japan, at a little shop called Daiso. If you have a Daiso near your home or in town, and you like Japanese products, this is the place to go. The chocolate was very yummy and creamy even after I had left it on the fridge for days. Force of habit, since I don't like melted chocolate, lol. The presentation was very cute, I really liked. Though this doesn't say Organic or Non-GMO, we didn't freak out that much, because apparently Japan is very strict about GMOs and so on. Therefore, we indulged ourselves without guilt. I think that this weekend we might go again to Daiso, and see what else we can find. If you stay tuned to our blog, I might just show you! As some of you may know, I am an artist. Sometimes I am an inspirational photographer, sometimes I am an amateur musician, sometimes I create art in digital format, and sometimes I like to keep it traditional and take my pencils and paper out. This week, I was working on this beautiful sketch. I wasn't sure what I wanted to do with it, so it took me two days to create. At the end, I was very happy with the results. What do you think? Though in this photo above you can only see the work-in-progress, you can see the end result in these products from Society6. 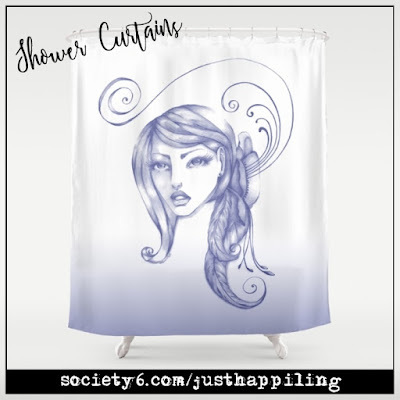 Yes, I know, everything is in Society6, lol. Hey, an artist has to make a living right? 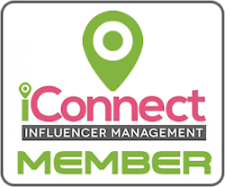 Plus, the more sales, the more we can invest on this blog, and I truly like having giveaways to show appreciation to our community. At the end, it is a win, win, win for everyone. And speaking about Wins for everyone and Society6.com/justhappiling, right now you can get a 10% off + FREE worldwide shipping on everything. So if you like my art, take advantage of this promo. Offer ends 9/5/16 at 11:59pm PT, and does not include Special Editions, Collaborations, and Gift Cards. We had so much fun preparing for our #JungleBook movie night (click here to read about it) with so much fruit and yummy goodies created with the fruit, that we just had to get more before they were off season. So we literally had fruit--fruit everywhere! And though we love smoothies during this season, there is nothing yummier than just grabbing a handful of your favorite fruit in a bowl and having it close by to snack on. By the way, if you entered to Disney's The #JungleBook giveaway that we were hosting, brought to you by Allied Hispanic, we already announced the winner at the original blog post. Check it out here (LINK). We were honored this week with an invitation to assist to The Wild Life movie's advance screening, which will be taking place this weekend. I am very excited about this movie, and I will tell you all about our experience next week. I am so ready to watch this fun family movie! To find out more about this film, follow #TheWildLife on social media, and get ready, because this movie will be coming to theaters near you on September 9th, 2016. In the mean time, you can read all about this movie in a previous post we shared here (LINK). It's been so hot, that most of our plants seem to be done for the season. We only got tomatoes from the cherry tomatoes, and tons of basil, which I am truly enjoying in my breakfast toast. All the peppers seem to have oddly shapes this year. I wonder if it is because it's been so hot and dry lately, or if this is just the shape these peppers were supposed to be. We also just found out that the surinam cherry, was not really a surinam cherry. 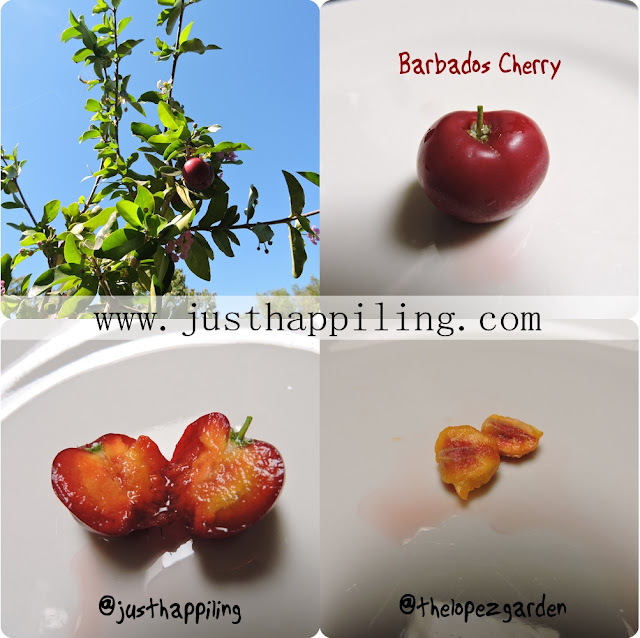 All this time, it had been a barbados cherry. It looked very similar to the surinam, and it was sold to us as a surinam, but it is not. At the end it doesn't really matter to us. We got a beautiful fruit tree, that at the moment is full of flowers, and hopefully then we'll get tons of fruit. The seeds of this cherry I just had, will be going into my little box of experiments. You see, last week I was eating some huge peaches, very juicy, and the husk was cracked open. I assumed that because the husk was opened, the peach seed did not need to go through the process of stratification in the fridge or naturally through winter. Therefore I decided to place it on a humid napkin and in a small container, to germinate and see what happened, and voalá, I was right. I tend to just throw seeds to germinate to see if they do, or if they take a long time, or how they look when they are growing. I actually have a couple of trees that I have grown this way. Unfortunately, until we have our farm, we might not be able to keep as many trees, so if these do grow, they will become gifts. I just believe that if life is trying to be, why not let it? I mean, after all, those husks were cracked opened, right? Plus it's the way farmers have done it for centuries. Oh I wish with all my heart that soon we get to move to a farm. We'd be so happy growing organic food for our community. I can tell you for sure that it's officially September, and therefore, it's that time of the year when all Mexicans, proud of their heritage, celebrate their Independence day. A historical fact, for those readers that may not know. The pursue of Mexico's Independence from Spain started on the 16th of September of the year 1810, and ended on September 27th, 1821, when the war ended and the land of New Spain became the Mexican Empire, to later become what we know now as the Mexican Republic. We don't just celebrate this Holiday on the 16th, but we do so every day that passes and leading up to the 16th itself. I don't know how it is in the rest of Mexico, but in Monterrey, Nuevo Leon, where I am from, as soon as the month starts, you can see different areas of the city covered in those beautiful patriotic colors; green, white, and red. And right in the center of those heartfelt colors, a symbol of hope, the seal of the Mexican Nation. Though there have been many meanings to the colors of the Mexican flag, what we were taught in school was that; green symbolizes hope, white symbolizes the unity, and the red symbolizes the blood of the Mexican National heroes. Three days before the celebration of Independence day, Mexico also honors the brave and heroic young cadets, also referred to as "Niños Héroes", who sacrificed themselves in the Mexican-American war of 1847. A lot of American soldiers died in battle as well, so I would feel it appropriate to remember them too. Though I am Mexican, born and raised, at the end, it is very brave when a soldier fights for it´s country, whatever the reason behind the war. Therefore, on this month of September, you don´t have to be Mexican to honor fallen soldiers. If you are a citizen of the United States of America, you had brave soldiers fighting those battles, who should also be remembered as they forged part of all of North American's History. 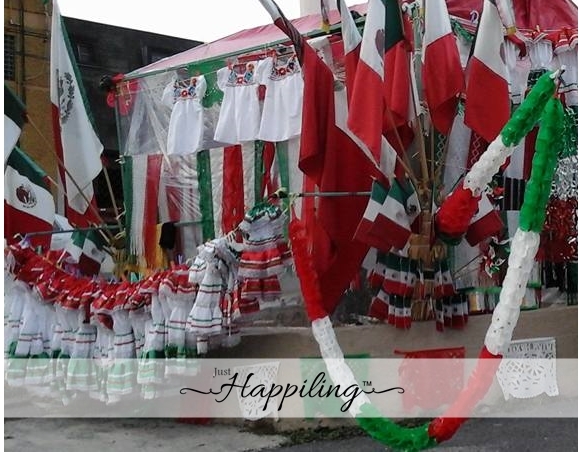 It is to be noted that the picture I am sharing, that displays some Mexican flags, which are sold for the purpose of celebration of these important Mexican Holidays, are shown in this blog post with much respect on my behalf. I am proud of my heritage and I would not dare display such patriotic symbols in any other way than with pride and honor. Honor and pride should, by all means, be the only way to display patriotic icons, symbols, seals, and flags, of any and all countries, because many people have sacrificed their lives for them, and that is the way for us to honor them all. So with that being said; do you celebrate anything special during September? Do you like celebrating historical celebrations to honor your heritage (not necessarily Mexican, or American, it can be any other nationality)? I would love to know. We are who we are, because of many lives and sometimes even many cultures. Since my husband and I have a very delightful and interesting multi-cultural background, we try learning fun and interesting things about those cultures and try to incorporate some traditions into our present lives. 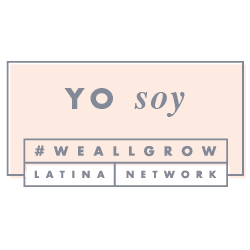 As you follow along our blog, you'll see some of them, and hopefully we will learn some from you too. So that's it for this week's Summary. Thank you once again for joining into our online community of people who just want to be happiling, and sharing some of that feeling with the rest of the world. Remember to follow us on social media as @justhappiling, or through #justhappiling. You can also share some of the things that make you happy using the hashtag, and sharing it with the world. Let's make a happier place for everyone to enjoy.